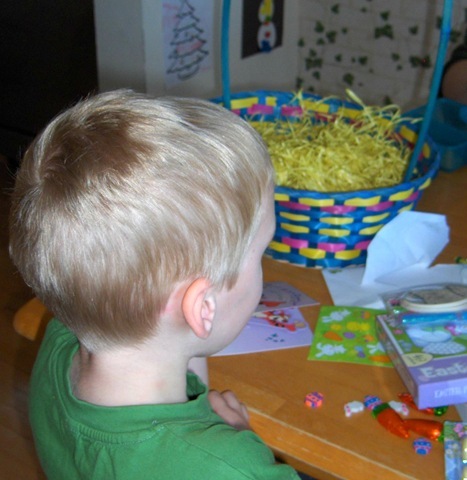 Recently, I had the opportunity to go shopping at Dollarama (one of my all-time favourite stores!) 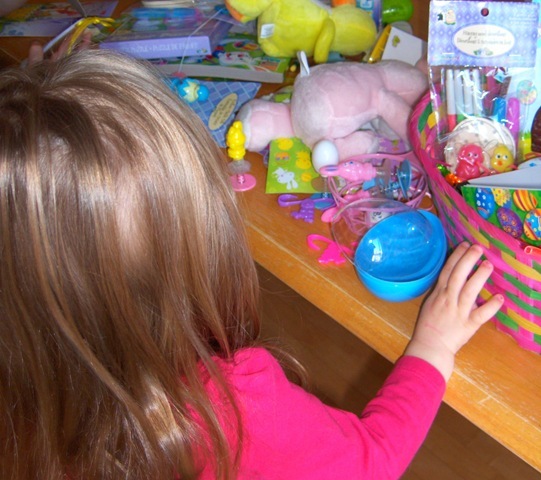 to buy the supplies so I could put together two children’s Easter baskets – one for a 4 1/2 year old boy and one for an almost 3 year old girl. 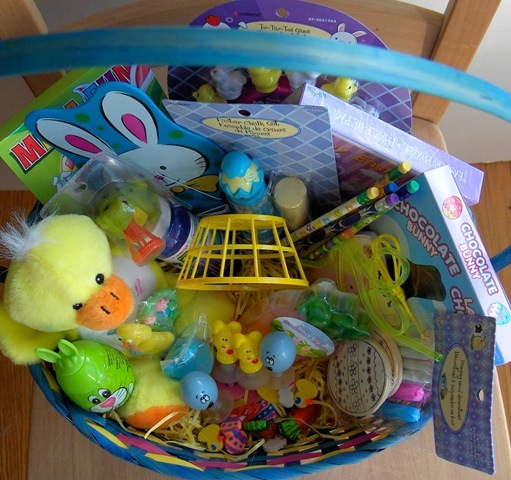 As you will see, I was able to fill those baskets with all sorts of goodies, candy and otherwise, for just under $20 each before taxes INCLUDING the basket itself. 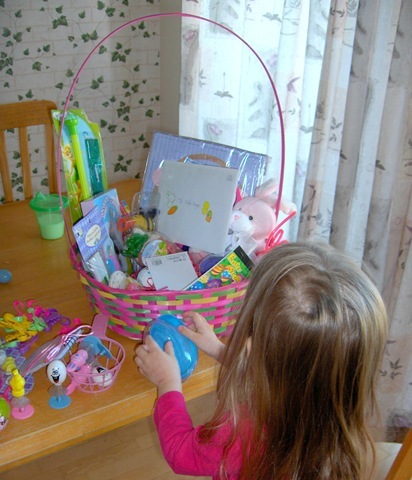 As you can see, the baskets were a big hit! 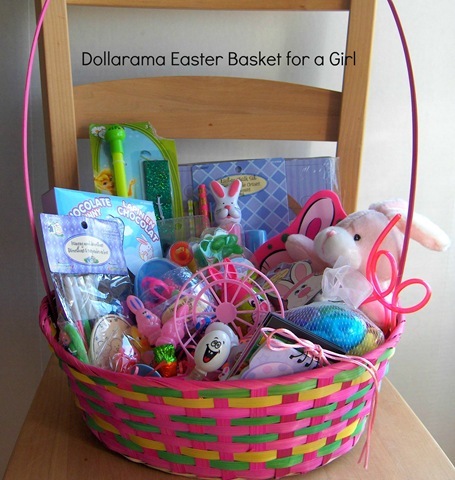 There were many many more choices at Dollarama; the hardest part was narrowing it down because if I had purchased everything I saw that I knew would be suitable for in Easter baskets and loved by the recipients, I would have needed to give each of them at least 6 baskets a piece! 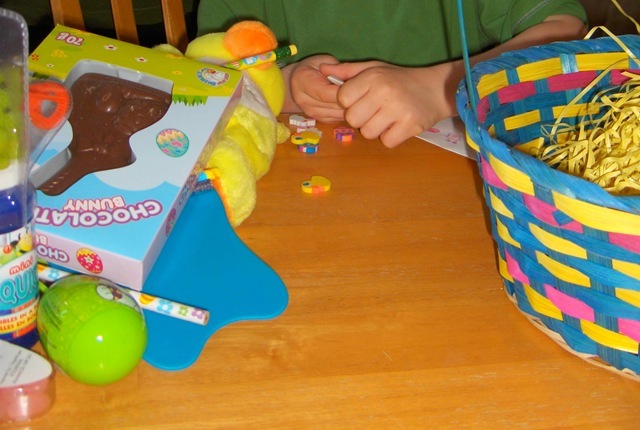 There were all kinds of outdoor toys perfect for spring weather, crafting supplies, story books, and so much more. 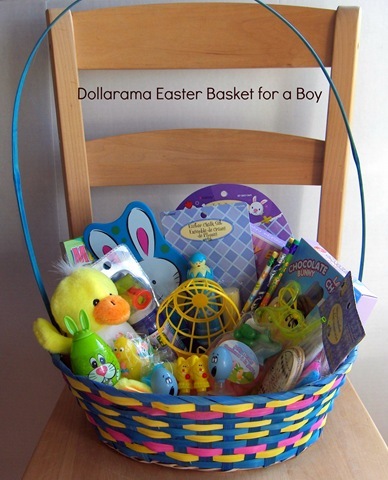 Check out Dollarama for alternatives to the traditional basket as well, such as sand pails, containers that can be used for organization and storage after the holiday, small decorative trash cans (they even have ones with children’s favourite theme characters on them), and other practical items that can used over and over again well after Easter is over. 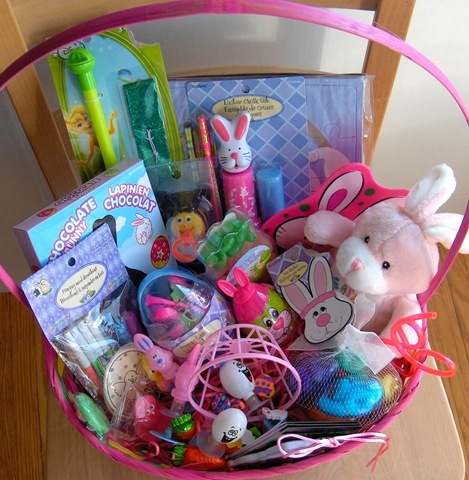 We don’t have a Dollarama near us but everything in the basket looks perfect for Easter. 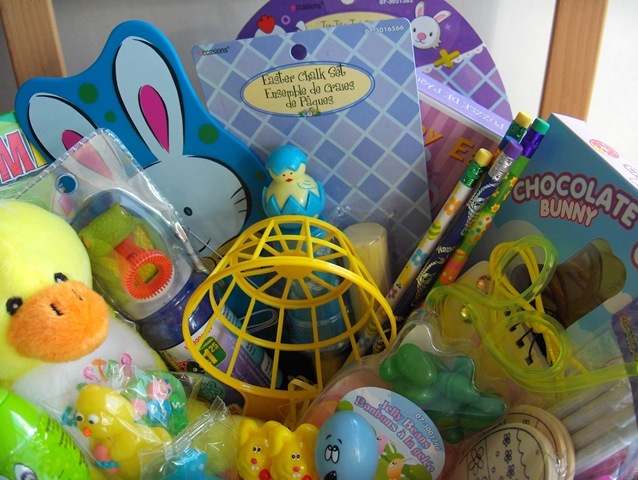 your little one will be so excited!! 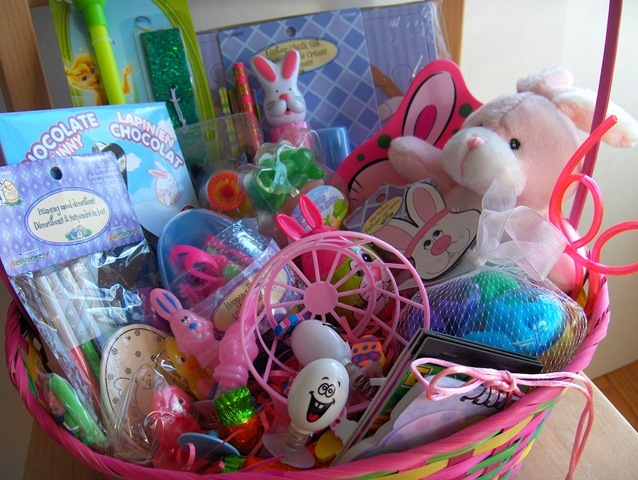 Beautiful basket for a great price! 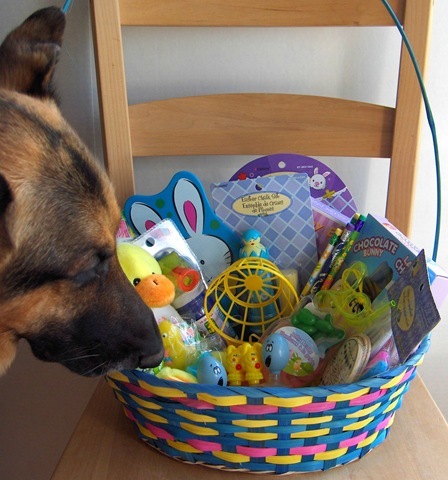 And well the dog seems to love it too, right?